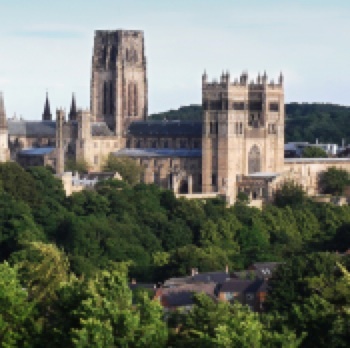 I’ve just submitted a paper proposal for the Durham Conference on Ecclesiology and Ethnography, September 2016. If accepted, and if the funding comes through, it will work beautifully with my BERA conference presentation, in Leeds a few days later. This paper has been composting for over a year. It began as a research memo in May, 2015, when I hit a research brickwall in a book project on sustainability and fresh expressions. 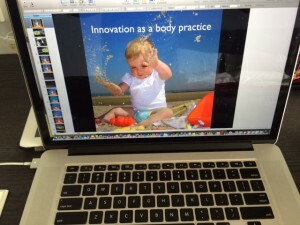 I needed a theological lens, other than numbers, by which to discern innovation. It was clarified by email conversation with Paul Fiddes, who helped me name my research question. 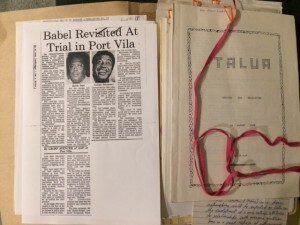 It was sharpened by a lecture in February, working with KCML interns. The result is the following paper. And, with thinking clarified, shaped and sharpened, I can return to the book project! Here is the abstract. Missio Dei understands God as the primary agent of mission. The affirmation, however, generates questions regarding how to discern Divine work in the world. This paper undertakes an exercise in practical theology, testing the practicalities of the Christian practice of discernment. The argument is that a Christology of giving and receiving, evident in a pastoral encounter with a homeless person, redraws Irenaeus’ theology of recapitulation. The starting point is Dietrich Bonhoeffer’s notion of Christ taking “form among us today and here” (Ethics , 2009). Paul Fiddes uses this starting point in clarifying the nature of empirical research in theology (Seeing the World and Knowing Godxt , 2013; Perspectives on Ecclesiology and Ethnography , 2012). The possibilities of Christ taking “form today” as a Christian practice of discernment are tested in three steps. As a first step, a set of questions is developed by which the specific shape of Christ’s form might be discerned. 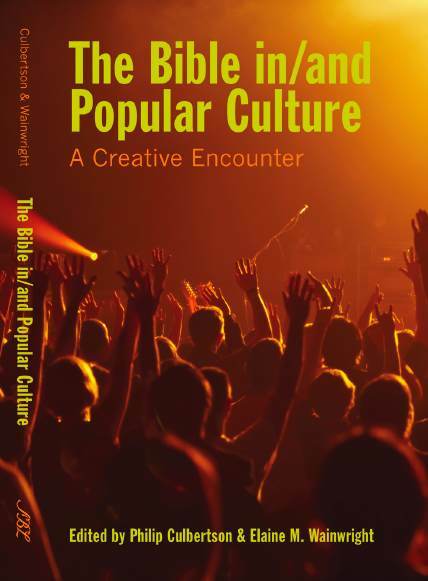 Three possibilities are introduced, drawing on Trinitarian presence in three Biblical narratives, the theology of creation in the Old Testament wisdom literature and the Divine processions of mission. Each is consistent with the Christological and Trinitarian impulses inherent in Bonhoeffer, yet provides a different lens in the practice of discernment. Drawing from Trinitarian narratives, do we see signs of creating, reconciling or the making of all things new? Drawing from wisdom literature, what can be blessed because it contributes to human flourishing? 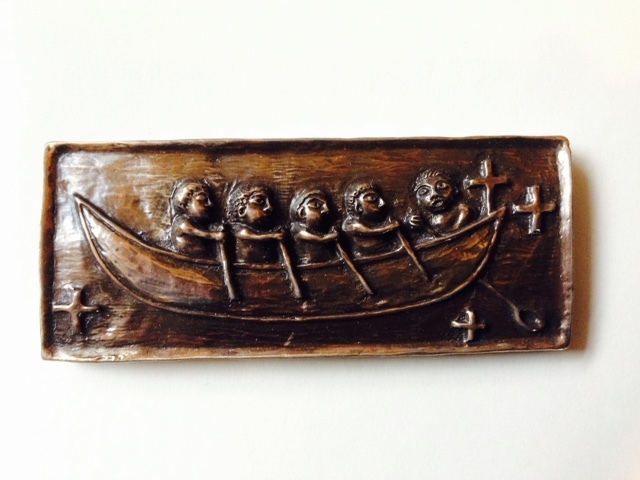 Drawing from the processions of mission, where do we see relationships of extravagant giving and receiving? Second, the three discernment questions are tested against a moment of lived reality, a pastoral encounter between a street chaplain and a homeless person. 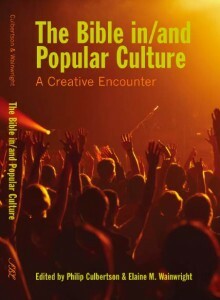 The encounter is documented by Henk de Roest (Explorations in Ecclesiology and Ethnography , 2012). While the use here of an existing empirical data set might be new in practical theology, it is consistent with Five Ways of Doing Qualitative Analysis (2011) in which researchers analyse the same data using diverse methodologies. This paper tests the usefulness of such an approach in practical theology. The three discernment questions, when applied to this pastoral encounter, enrich understandings of God’s work in a homeless world. The shape by which Christ takes “form among us today” is clarified, particularly with regard to the agency of God in human giving and receiving. Third, Irenaeus’ doctrine of recapitulation is redrawn in light of the mutual giving and receiving discerned in the pastoral encounter. The argument is that recapitulation needs not only to articulate Christ receiving in maturation, but also in ministry. The pastoral encounter enriches our understanding of the nature of Incarnation and the self-limits of revelation inherent when God’s work in the world occurs as a communicative act of giving and receiving. Practical theology is thus a Christian practice in which acts of discernment, in conversation with empirical data and historical theology, deepen understanding of reciprocity in the nature of God. The empirical is essential for theology, while theology is essential for Christian practice. On the Sabbath we went outside the city gate to the river, where we expected to find a place of prayer. We sat down and began to speak to the women who had gathered there. 14 One of those listening was a woman from the city of Thyatira named Lydia, a dealer in purple cloth. Acts 16:13-14. Lydia, dealer in purple. In the The Brilliant History of Color in Art , purple in the Roman empire is a “fashion phenomenon … Rome adored this color with a passion we cannot imagine today” (The Brilliant History of Color in Art , 28). Purple was made from shellfish. They needed to be soaked in liquid, ground together, thus releasing the enzymes that resulted in the colour purple. Lydia lived in Philippi, a city situated near head of Aegean Sea. In other words, in a city able to produce its own colour purple, using shellfish from the eastern Mediterranean Sea. However, rotting shellfish stink. 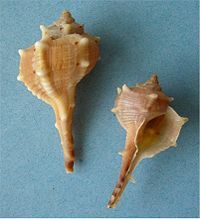 It is near impossible to leave with the smells made by rotting shellfish, which led to them being placed on the outskirts of towns and cities. This is evident in Tyre, where if you visit today, you can see, outside the town, downwind, the vats in which the color purple was manufactured (The Brilliant History of Color in Art , 29). This provides another way to read Acts 16. The traditional reading is that Lydia was a God-fearer and hung out with the Jews, who had no synagogue, and thus met by the river on the outskirts of the city. What if in fact Lydia, the dealer in purple, was tending her vats full of rotting shellfish, located, for reasons of smell, outside the city? What if the beginning of Paul’s cross-cultural ministry in Greece began amid the stench of rotten shellfish? Christologically, this would provide an interesting way to frame the mission of Paul. Purple was a restricted colour in the Roman Empire. In 48 BC, it was ruled that only Ceasar’s could wear togas died in purple. If Paul begins his ministry amongst the colour purple, is he making a statement about royalty? Not from the Emperor’s position of power, but from outside the city, amid the stench of primary production. It is consistent with the Christ he serves, who died outside the city, the enzymes of his body released in suffering. Lydia becomes, like the women carrying their spices after the Resurrection, a worker amid the stench of rot and decay. Christologically, of these women, Mary Magdalene is the first to give voice to the life of the Resurrection Christ. She is thus known as the first apostle. Lydia, like Mary, is the first woman named when Paul carries the gospel into Greece. Is a textual echo being created? Are two women, Mary and Lydia, bound physically by their service amid the smell of death? Are they also bound spiritually by their willingness to be the first to say yes, one in Jerusalem, another in Greece, to new life in the Resurrected Christ? Such are the possibilities created by reading the color purple in light of the ministry of Lydia in Acts 16. A year ago, I attended a Thinkwell seminar, on academic writing. It was two hours that flipped my approach to writing on its head. As part of the seminar, Thinkwell talked about the contrast between binge writing and snack writing. Binge writing involves large slabs of time, often when faced by a deadline. Snack writing is regular, limited, daily. Prior to the seminar, I had been a binge writer. I am motivated by deadlines. I told myself I needed good time to get into the headspace I needed to write. Since that time rarely came along, the binges – faced with an academic conference looming – would at times get pretty intense. Thinkwell encouraged writing between 45 to 120 minutes a day, five days a week, first thing. Writing is writing. It is not reading or editing. It is putting words on a page. I decided to give it a go. A year ago, I hung a “Shh. 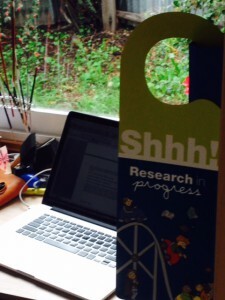 Research in progress” sign over my desk at home. I turned off the internet. I cleared the desk of everything but my research. I placed the photo on my cellphone as a reminder. I began to try and not make appointments before 9:30 am. That was 29 May, 2015. This week, 26 May, 2016, I took a second photo. 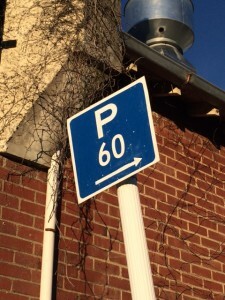 “Parking 60.” It captures my current work habit. I do the school run, then head for a cafe (less likely to be disturbed). I write for 60 minutes. I “park” – writing a few notes to myself about what I need to do next. I return to work and have about 15 minutes to clear immediate email, before heading for staff morning tea and into my meetings. I do that three to four times a week. In the year in between these two photos, in my snack writing, I have written 75,000 words. This involves one book (Built for Change), three journal articles (draft, not yet submitted) and one international conference presentation. I have continued to find small fragments of time at meet urgent deadlines at other times of the day. This is not in the 75,000 words tally, but has included eleven monthly 500 word film reviews, eight conference abstracts, two 700 word articles aimed at my industry partner and the publication of one conference proceedings. The encouragement by Thinkwell to snack writing is based on psychological and educational research into productivity in research. First, writing is hard work. It is 90% perspiration, 10% inspiration. Humans tend to do all they can to avoid hard work. Second, the brain makes its best decisions when fresh. Hence the brain is more likely to remain on task, focused on the hard work of writing if you write first in your day. Third, the brain subconsciously processes while you go about other tasks. Snack writing is more likely to draw on this subconscious processes. When a thought comes during the day, I make a quick note, and have something to spark when when I return the next morning. Fourth, the brain remembers what you felt like as you last finished something. If you binge write, you are more likely to finish exhausted. The brain remembers this and the next time you want to write, your brain recalls how hard it was and encourages you to find an easier task. 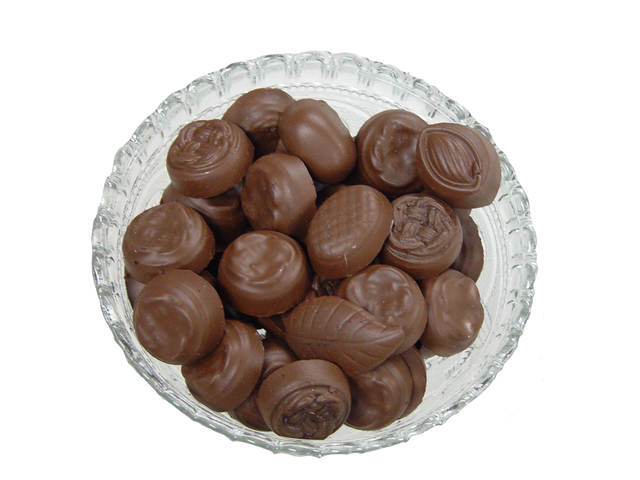 If you snack write, you are likely to stop while you are in a good flow. The brain remembers this. The next time you want to write, the brain recalls how energised you were in the midst of the flow. Fifth, this is helped by “parking.” At the end of 60 minutes, I make a note of what I was about to do. I label this clearly in yellow on my Word document. I also make a note in Evernote using a tag “the next most important thing.” I update my work count, to give a sense of progress. This means when I sit to write, it is easier to pick up the task. I don’t have to work out what do, because it is already there in my to do list . Over the year, I have noticed some changes. I tend now to think in sections. Rather than look at an entire piece of work that needs to be around 6,000 words for a journal article or 8,000 words for a book chapter, I find I am using headings to break the project up. With only an hour, I find myself focused on completing a section, rather than the entire project. I used to think I needed a sabbatical or at least a whole day to work on a book. Now I am much more comfortable in 60 minute bursts. I also tend to be better organised. I have a cloth bag in which my books for different projects live, which gets taken to the cafe. If I need a book to complete the next section, I find myself fitting the task of acquiring the book into the day, rather than needing to first find the book before I can start writing. I have moved jobs during the year. The output is roughly similar. I wrote around 25,000 in the four months of being Principal of Uniting College and have written 55,000 in the eight months of being Principal of Knox Centre for Ministry and Leadership. In the current job, I have less breakfast meetings. However, I am flying more, which provides a different set of challenges. By claiming 60 minutes, what have I lost? My partner reckons I don’t come home from work any later. I am blogging less. (I have averaged 9 blog posts per month in the last 12 months; 12 blog posts per month in the 12 months prior). In other words, blogging was my previous “snack writing.” I am probably a bit slower with some email. But I am also more energised. It feels great arriving to my tasks knowing I have already given good, solid, time, to something I value. I am not sure my writing is any better, although I suspect it is. But one year on, snack writing has changed my writing life and certainly increased my output. 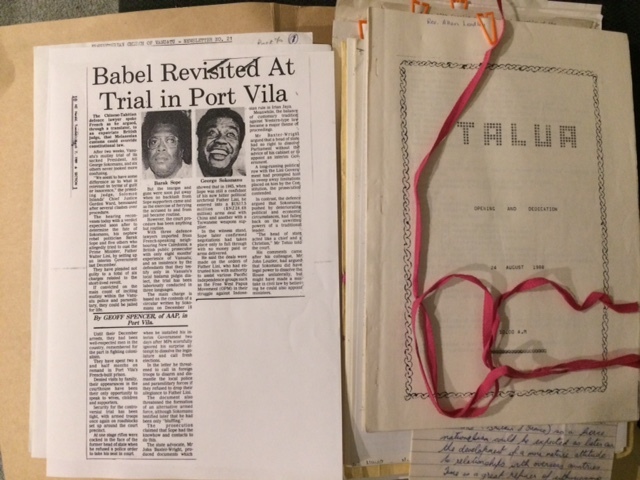 It was an evening in the archives, exploring the files and newspaper cuttings that Presbyterian Research has of theological education in Vanuatu. The demand was preparation for The complexity of being woven together: A microhistory of the relationship between Talua Ministry Training Centre and three denominations in Australia and New Zealand, a research paper I am delivering, with Phil King, at Woven Together: Christianity and Development between New Zealand and the Pacific, Victoria University, June 9-10. The result was an evening of inspiration. What will become clear is that Christianity is a significant development actor. Theological education in Vanuatu is driven by local agency. It is shaped by a vision for equality, contextualisation and indigeneity. It provides leadership for political independence. It was built on the desire for local agency. “The Presbyterian Mission was forced to give up its dependence upon the LMS teachers” (Rakau, 2). It is consistent with Forman’s pattern, which I will discuss later. The College was wholistic, aiming to “enlarge the whole life, head, heart, home and community” (Rakau 3, citing Miller Live Bk 3, 112). Students worked in gardens. This is consistent with the aims of the theological college, that students “keep in touch with man’s deeper need by practical gospel work during training” (Rakau 6, citing Tangoa Training Institution). 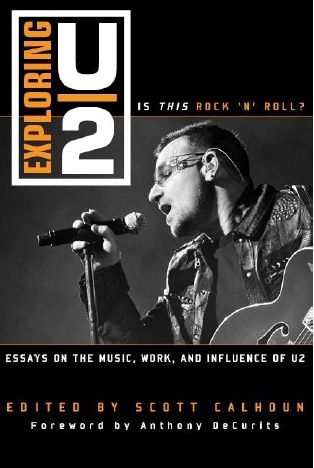 It was free (“free as far as fees were concerned” (Rakau 3, citing Miller Live Bk 3, 113)). A central focus was teaching students to read, for the sake of local agency. “Our primary object was to teach them to read, that they might be able to read the Bible and learn the will of God … for themselves” (Rakau 3, citing Miller Live Bk 3, 113). This is empowerment, in which the ability to read enhances local agency. In 1895, Tangoa Training Institution was established. It is intriguing to read the aims, using the lens of our conference theme: development. The vision included equality, contextualisation and indigeneity. Regarding justice, the Intellectual aims noted “The essential parity of the intellectual powers, irrespective of race or colour.” (Rakau, 6) Regarding contextualisation, “A teaching approach which has, as far as possible, assimilated the thought-forms of the native culture.” (Rakau, 6) that educated “students to the nature of the responsibility for an indigenous church.” (Rakau, 7) Regarding indigeneity, “A self-governing Vanuatu Church … The principle that the people of the land are the most effective evangelists to their own people … The inclusion of island teachers [as theological educators] as soon as possible … The gradual assumption by the Vanuatu Church of the cost of training its own teachers and pastors.” (Rakau, 7) It is an extraordinary vision for any culture, even more so given the year, 1895. A third institution, Aulua Training College was established in 1977. This date is important, argues Fiama Rakau, “four years before Vanuatu achieved its independence.” (Rakau, 11). The Presbyterian Church of Vanuatu was instrumental in the move to independence, with clergy being released to provide national political leadership. “This was particularly felt within the Presbyterian Church of Vanuatu because more pastors from that church were released to the political sector.” (Rakau, 11). This resulted in a loss of leadership in the church. This led to the establishing of Aulua Training College. Again, local agency was central. The first aim was that “Aulua expresses the determination to move towards self-help” (Rakau, 12). There was a critique of “students, studying overseas, [who] become alienated from their own people” (Rakau, 12). An economic analysis was evident: “The high cost factor of providing basic training overseas” (Rakau, 12). Contextualisation is central. A training model is established which takes “place within the culture and life of the people” (Rakau, 12). Examinations were rejected in favour of “written expression, group discussion, and involvement, to assess their readiness for ministry.” (Rakau, 13). I arrived at church on Sunday to preach. It had been a message I’d worked on faithfully part of Wednesday morning, and again Friday and Saturday evenings. I had a full script and powerpoint. Within minutes of walking into the auditorium, I began to wonder if there was another sermon in the room. It is only the 2nd time in 22 years of ministry that this has happened. Deep breathe. What to do? 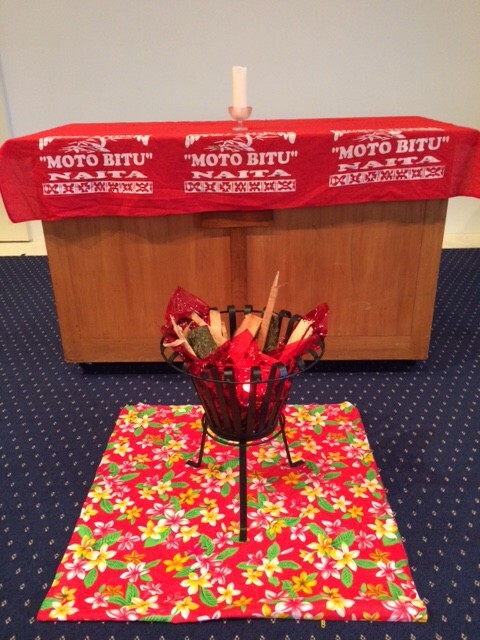 The trigger – On arrival, I commented to the worship leader on the visual display, including the bright red tablecloth spread for Pentecost. “Oh,” she said, “it comes from PNG.” Now, I was raised in PNG. I often share a story from PNG when talking about mission and link it to the Pentecost story in Acts 2. Was the tablecloth an invitation to offer another sermon, a story and some insights about Pentecost and mission? The points for doing an impromptu sermon. 1. It was Pentecost Sunday. Such days are always a more pointed reminder of the need to trust the Spirit. Was the tablecloth an invitation to me to trust the Spirit in fresh ways? 3. There was a sense of energy and immediacy. It would allow a very contextual engagement with that service, that Sunday. 4. The group gathering for worship was smaller in number and older in age than I had expected. A more conversational sermon was, I felt, more likely to work in that setting. 1. I had no idea of length. How long could a few jotted notes last? Related, as a visiting speaker, I did not want to appear lightweight or under prepared or waffly. Would it link logically? Could it be landed? 2. I had put a good amount of work into the existing sermon. 3. Going impromptu would generate a significant amount of adrenaline, which after a demanding week, needed to be considered. 4. I’ve seen a few preachers “throw away their notes” and I’ve always wondered whether it was real, or just attention seeking. So if I went impromptu, how would I want to frame it? Four reasons for. Four reasons against. A draw. What to do? I gave myself the worship time to further test the discernment. I had a sermon already as a backup. As the congregation sang, at the front, I was frantically making notes. I mapped out a possible opening that noted the two possible sermons and linked to the table cloth. I identified three headings that would give some structure. Each was related to the Lectionary text (Acts 2). I find myself able to make some contemporary connection for each of the points. I realised I had a conclusion, that returned to the tablecloths. The Evernote function on my cell phone was great. I cut and pasted, moving phrases around, adding more insights as the sung worship continued. A couple of comments made during the worship were further encouragement. They could be woven in, adding connectivity to the message. As I stood to preach, it was decision time. I decided to go with the impromptu. It was, after all Pentecost. There were a few stutter steps. There were a few moments when the logic was not as strong as I would like. But it was connective. There was energy in the room. A number of folk afterward expressed how important the message was for them. After I spoke, the worship leader shared some more about the story, sharing of reconciliation and justice, a story that would never have been told if I had not gone impromptu. Would I do it again? Yes. Would it matter if I had done the original? No. That also would have blessed, I am sure. (Just a different set of folk). I spoke this morning at Central Presbytery, providing a keynote session on the topic of innovation as a body practice. 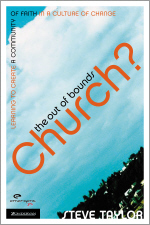 It was a chance to continue to develop my thinking around being a church body built for change. With the final edits on my Built for Change book complete, each time I speak at the moment is a chance to try and take what is 53,000 written words and shape it into a spoken presentation. It is also a chance to explore the place of innovation and ministry within the Presbyterian Church, in particular their essential documents. Before I talked, there was a short time of worship, followed by a Biblical reflection on the Prodigal Son. I was not aware of it in preparing and it was fascinating to stand to speak on my chosen topic, with that Scripture fresh in all our minds. The result was that there were two moments in my talk when what was said in the prior Biblical reflection became incredibly helpful. It became an illuminating and helpful phrase. Body practices – confession, hospitality, discernment, listening to the stranger – begin with God, they are gifts. Body practices are about us; about how the church is the body of Christ. Body practices are things we do, and in that doing, we see ourselves differently. Thus they allow a theology on the road, a call to practice our way into God’s future and in doing so, expect to ourselves be changed. Secondly, in reflecting on the Prodigal Son, the difference between shame and blessing was discussed. The Prodigal Son feels shame and as such, is likely to behave in certain ways. In contrast, as the Prodigal Son feels blessed, they are invited to behave differently. This became a very helpful frame by which to consider how the church responds to change. What does a place of shame look like? Oh, we tried that before. Oh, I remember you from the past. Oh that wouldn’t work. What does a place of blessing look like? Welcome. Take a risk. Experience grace. It was a rich experience to be able to work with innovation in the light of the Prodigal Son. 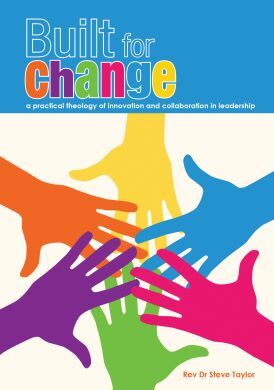 It provided a fresh lens and opened up a rich set of conversations around people and processes in change. This is beautiful. ‘Let Time Be Still’ is a song by Greg Johnson, inspired by the words of poet James K Baxter. It is one of 12 songs recorded for 2000 tribute album Baxter: settings of poems by NZ songwriters. The backdrop is Jerusalem, up the Whanganui River, the centre of Baxter’s final years. The lyrics “matins making” chimes with the Catholic symbols – Mary and the crucifix – which complexified so much of Baxter’s imagination. The beat and vocals slow the tempo, echoing the lyrics, the dream of perfect moments in which time stands still. This series of seminars aims to encourage and promote research and publication on Christianity and cultures in Asia. 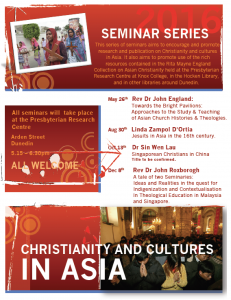 It also aims to promote use of the rich resources contained in the Rita Mayne England Collection on Asian Christianity held at the Presbyterian Research Centre at Knox College, in the Hocken Library, and in other libraries around Dunedin. Towards the Bright Pavilions: Approaches to the Study & Teaching of Asian Church Histories & Theologies. Jesuits in Asia in the 16th century. A tale of two Seminaries: Ideas and Realities in the quest for Indigenization and Contextualisation In Theological Education in Malaysia and Singapore. Why would the Salvation Army even be doing learning and development, and what is at stake? After some considered reflection, and rifting through quite a bit of recent speaking material around innovation and discipleship, I’ve returned to something I did in Australia in February 2015, speaking to a group of funders of the Uniting College about the future of the church. It means I will speak under three headings. What is God up to? What lies in a “Kingdom” kete (basket)? the move from face to face to digital, becoming fluent with faith formation in digital worlds. It has been at least seven years since I was last with the Salvation Army in New Zealand and will be my first non-Presbyterian outing since I’ve returned to New Zealand. I’ve never seen myself in the after-dinner mint category – you know inspiring, funny – but despite these limitations, I’m looking forward to it. Monthly I write a film review for Touchstone (the New Zealand Methodist magazine). Stretching back to 2005, some 90 plus films later, here is the review for April 2016. Hunt for the Wilderpeople is a wonderful tickle of the New Zealand funny bone. The people I sat beside wiped tears from their eyes, then as the credits rolled stood to applaud the script writing skills of director Taika Waititi and the acting of teenager Ricky Barker. Hunt for the Wilderpeople is a road trip gone bush. Troubled teenager Ricky Barker (Julian Dennison) needs a home. At the end of a rural gravel road, Bella (Rima Te Wiata) and her silent partner, Hector (Sam Neill) are Julian’s last chance before juvenile detention. When tragedy strikes, Ricky goes bush. Tracked by Hector, their actions spark a national manhunt. At this point, with the end inevitable, interest is maintained by the insertion of the bizarre (extinct birds and selfie seekers) and creative rifting on pop-culture (Up, Goodbye Pork Pie and 1980’s Toyota advertisements). New Zealand cinema has been typecast as dark and brooding (interestingly by Sam Neill himself), evident in the bleak cinematographic palate of a Vigil or the subject matter of Quiet Earth or River Queen. Hunt for the Wilderpeople is a welcome reminder that rich veins of humour have always run through New Zealand cinema, from Goodbye Pork Pie and Came a Hot Friday to Boy (also directed by Taika Waititi). What we are finding funny is worth pondering. Hunt for the Wilderpeople is an adaptation of Barry Crump’s Wild Pork and Watercress. At the core of Crump’s books are men alone, a reference to the name of John Mulgan’s 1939 novel. In the literature of Crump and Mulgan, men are drift from conflict and commitment rather than embracing the emotional work required of long term relationships. Males alone are the core of Hunt for the Wilderpeople. The humour that surrounds Julian’s use of haiku is not only funny, but a reminder of emotional deprivation. The sadness at the core of these constructions of being male is magnified by the shift in time. Wild Pork and Watercress, written by Crump thirty years ago, is contemporized in Hunt for the Wilderpeople. John Campbell reports for national news, while cell phone technology is used to track Julian and Hector. In New Zealand today, there are far too many Julian’s and the rate of child neglect remains unacceptably high. Hunt for the Wilderpeople is a film well worth seeing, even as the lighthearted laughter involves themes that should weigh on our heart instead of tickle our funny bone. Religion has a presence in Hunt for the Wilderpeople. Director Waititi plays a church minister, his sermon a head scratching piece of nonsense. Shifting from funeral scene to plot development, Ricky and Hector’s act of going bush becomes a form of redemption. Isolation deepens the relationship between Ricky and Hector. The bush can bond. The result is a secularized affirmation of Christian understandings of the grace possible in creation and through relationship. Go to Hunt for the Wilderpeople. Laugh until you cry. Return home. Commit to acting in ways that turn the tears of New Zealand children into laughter.